As project stakeholders become increasingly diverse (in all ways), practitioners are challenged to design and implement robust and inclusive engagement processes that successfully and authentically engage all communities. Participants leave this highly-participatory and practical course with a deeper understanding of the spectrum of diversity, skills and tools to design robust and inclusive engagement processes, and explicit guidance on how to develop a comprehensive and effective implementation plan using the right tools and techniques – plus a great cohort of colleagues to help you with this work over time. 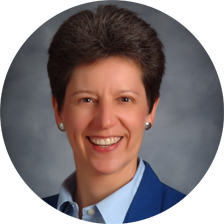 Anne Carroll has been a consultant and trainer in public involvement and strategic planning for many years serving both public and nonprofit sectors. She focuses on designing and implementing inclusive and substantive stakeholder engagement on important public issues, reaching out to and engaging diverse groups of people and perspectives, and tackling complex and multi-stakeholder environments. She served for 16 years as an elected member of the citywide St. Paul Board of Education, and serves as a board member or committee chair with the International Association for Public Participation USA and the Midwest Chapter, Minnesota Education Equity Partnership, and E-Democracy.org. See more information at www.carrollfranck.com.